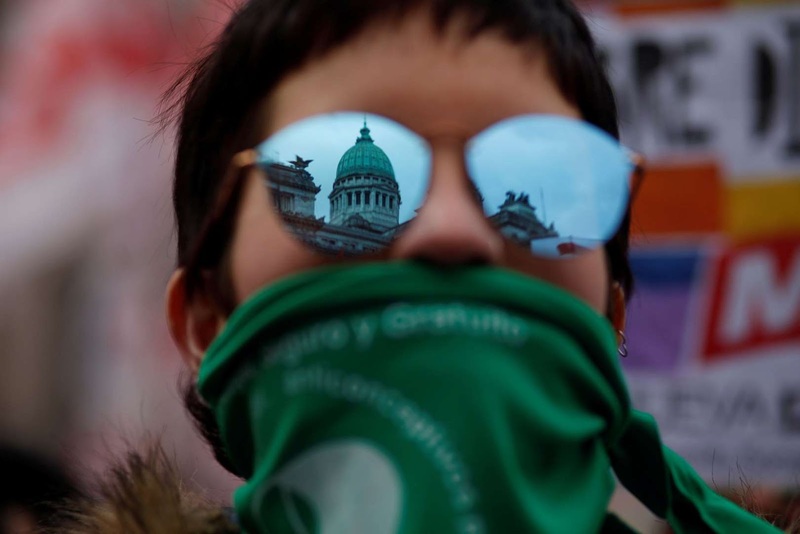 A demonstrator attends a protest in favour of legalising abortion outside the Congress while lawmakers debate an abortion bill in Buenos Aires, Argentina. 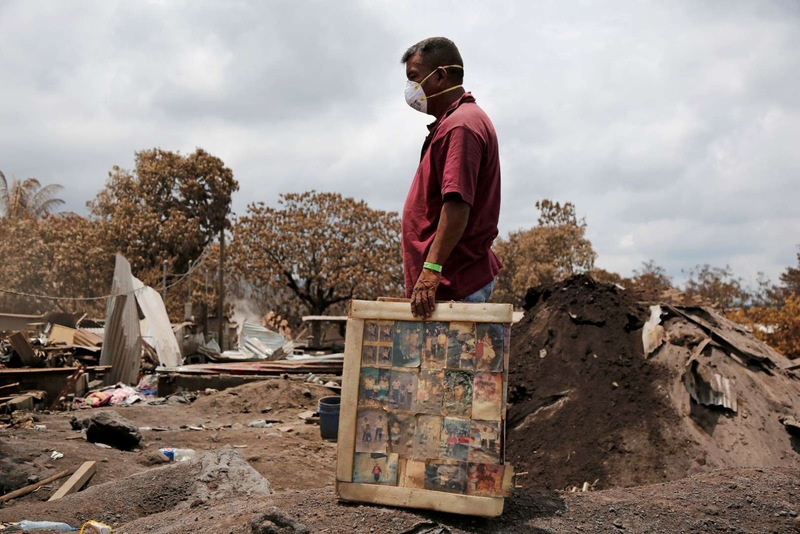 A resident holds framed pictures of his family, recovered from his house in an area affected by the eruption of the Fuego volcano, in San Miguel Los Lotes, in Escuintla, Guatemala. 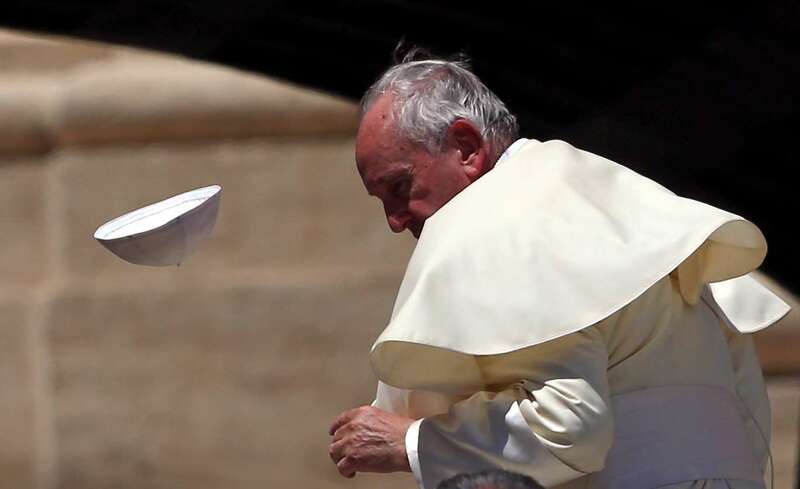 Pope Francis loses his skull cap during the Wednesday general audience in Saint Peter's square at the Vatican. 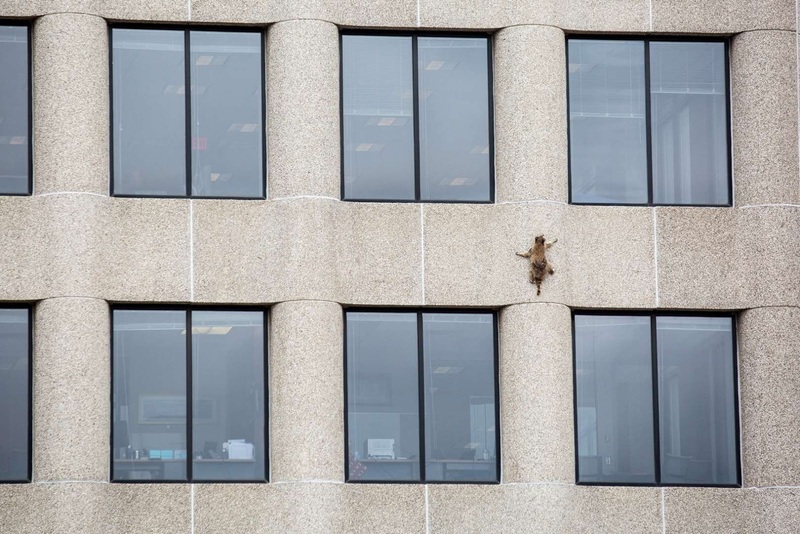 A raccoon scurries up the side of the UBS Plaza building in St. Paul, Minnesota. 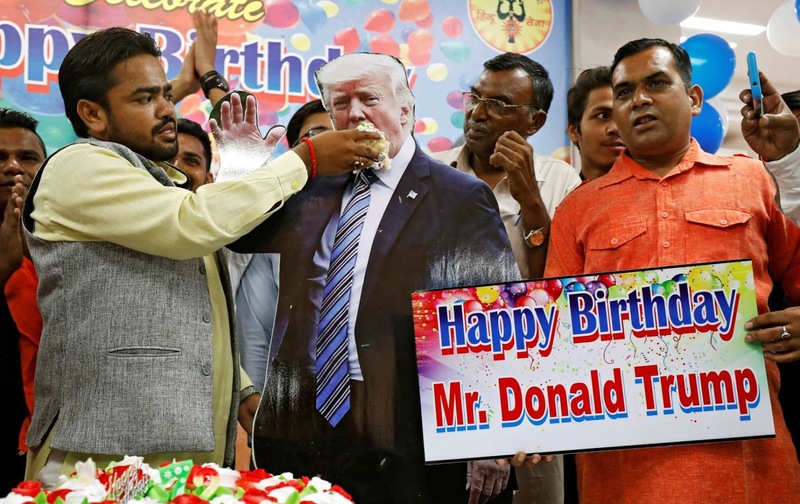 Members of Hindu Sena, a right wing Hindu group, celebrate U.S. President Donald Trump's birthday in New Delhi, India. 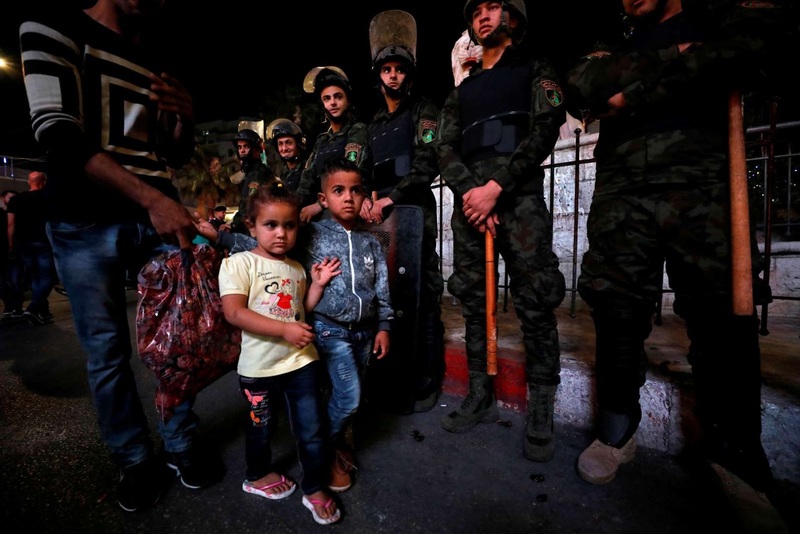 Children walk as members of Palestinian security forces stand guard during a protest calling on President Mahmoud Abbas to end financial sanctions on Palestinians in Gaza, in Ramallah, in the occupied West Bank. 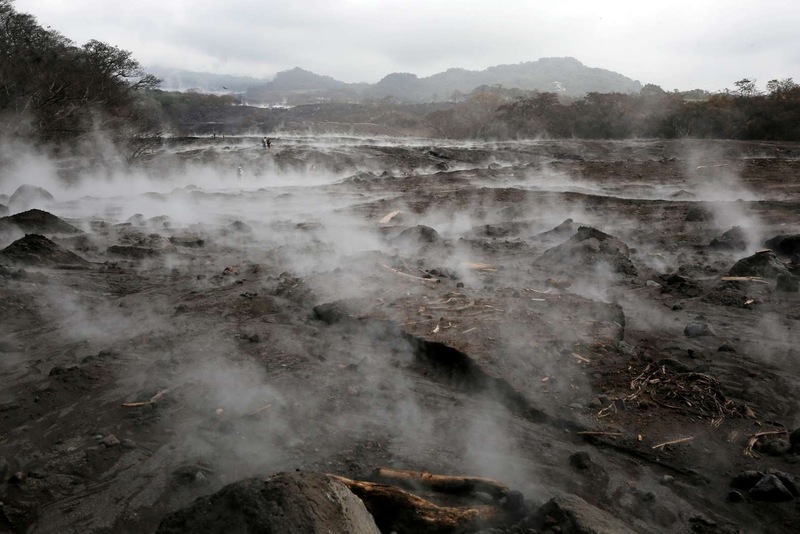 A general view shows an area affected by the eruption of the Fuego volcano in San Miguel Los Lotes, in Escuintla, Guatemala. 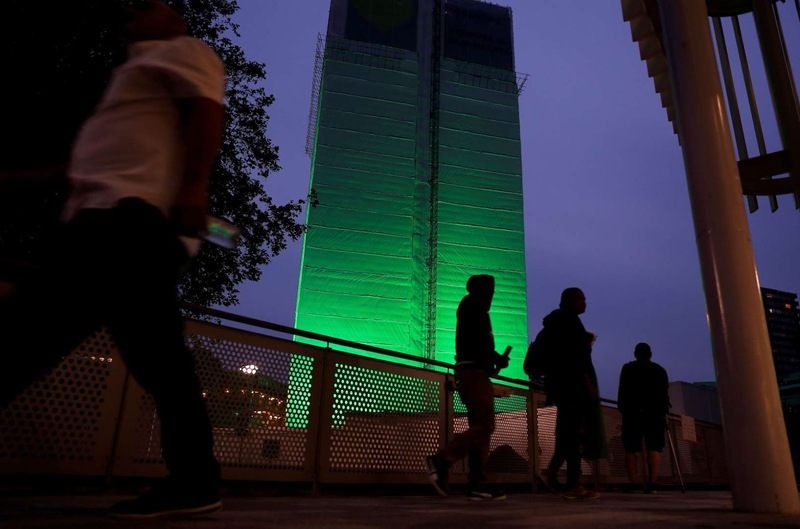 Grenfell Tower is seen covered and illuminated with green light one year after the tower fire in London, Britain. 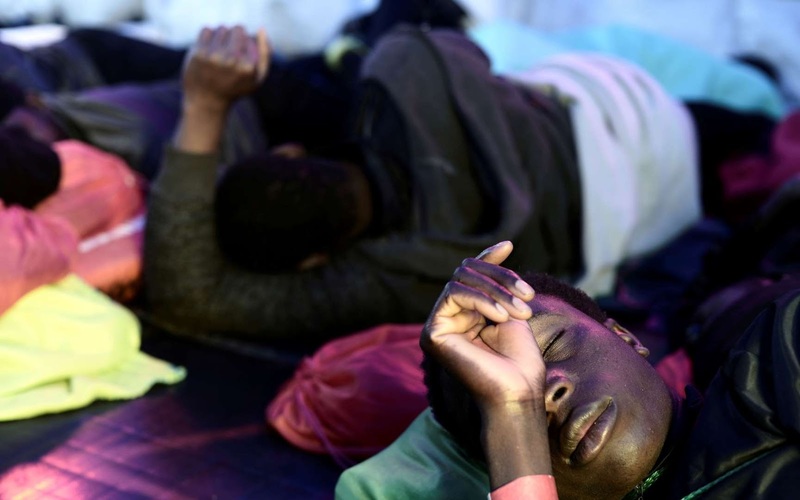 Migrants rest on the deck of MV Aquarius, a search and rescue ship run in partnership between SOS Mediterranee and Medecins Sans Frontieres on their way to Spain. 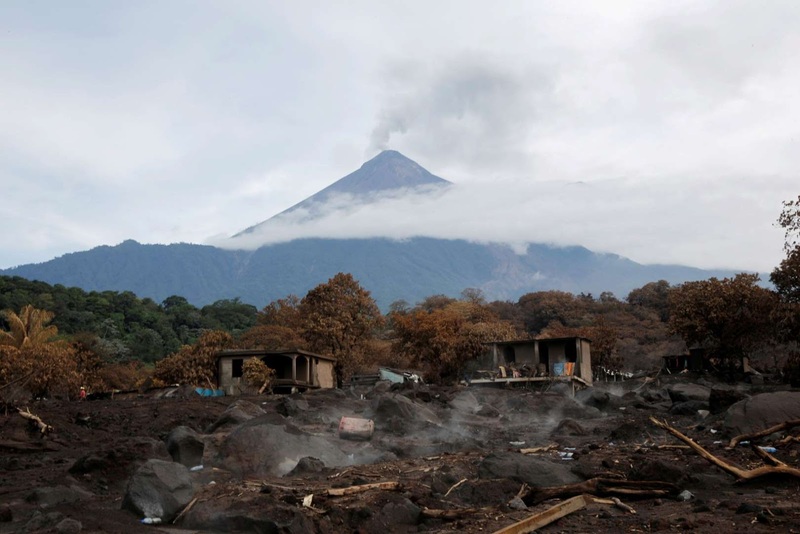 An area affected by the Fuego volcano is seen from San Miguel Los Lotes, Guatemala. 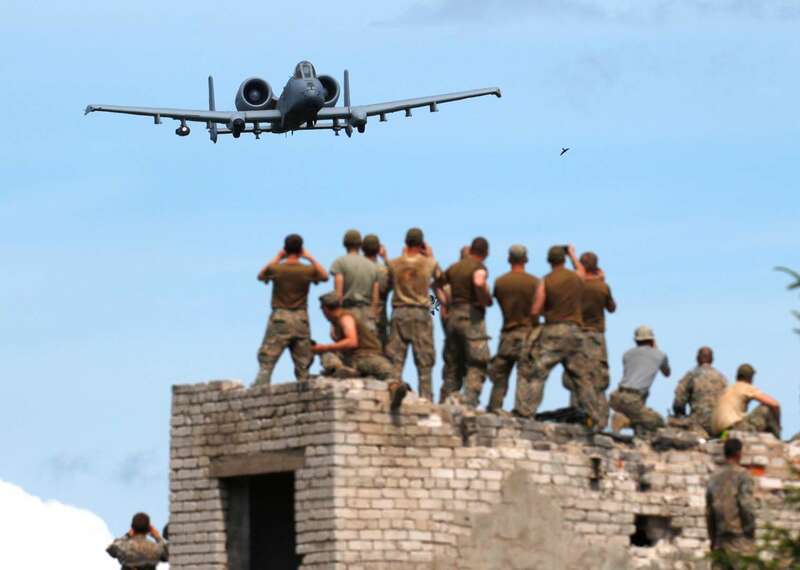 U.S. Air Force A-10 aircraft takes part in the urban fighting drill during the NATO Saber Strike exercise in the Soviet-time former military town near Skrunda, Latvia. 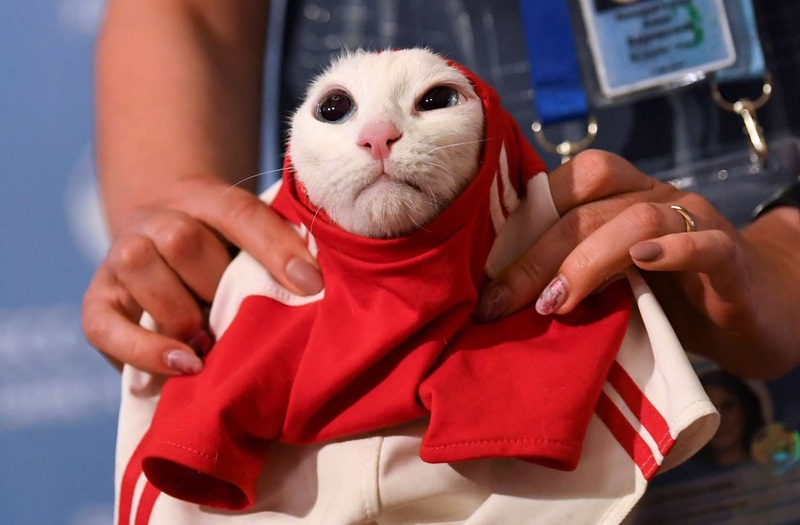 A participant dresses Achilles the cat, one of the State Hermitage Museum mice hunters, which attempts to predict the result of the opening match of the 2018 FIFA World Cup between Russia and Saudi Arabia during an event in Saint Petersburg, Russia. 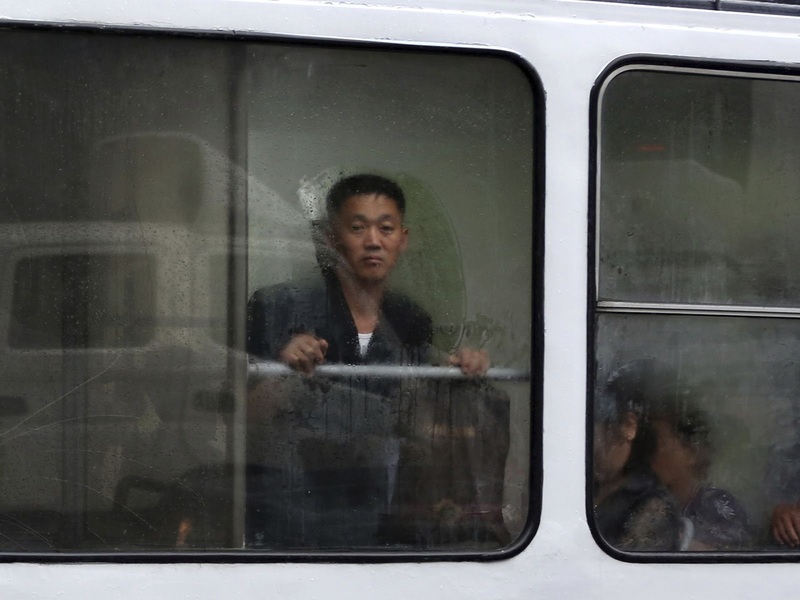 A supporter of opposition party VMRO-DPMNE waves a flag and shows his tattoo as he takes part in a protest over compromise solution in Macedonia's dispute with Greece over the country's name, in Skopje, Macedonia. 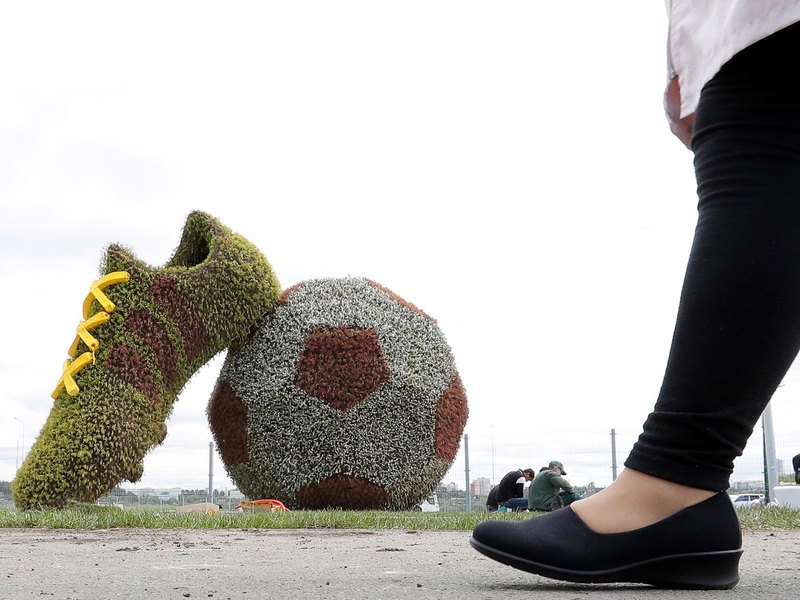 Cast member Bryce Dallas Howard poses at the premiere of the movie Jurassic World: Fallen Kingdom at Walt Disney Concert Hall in Los Angeles. 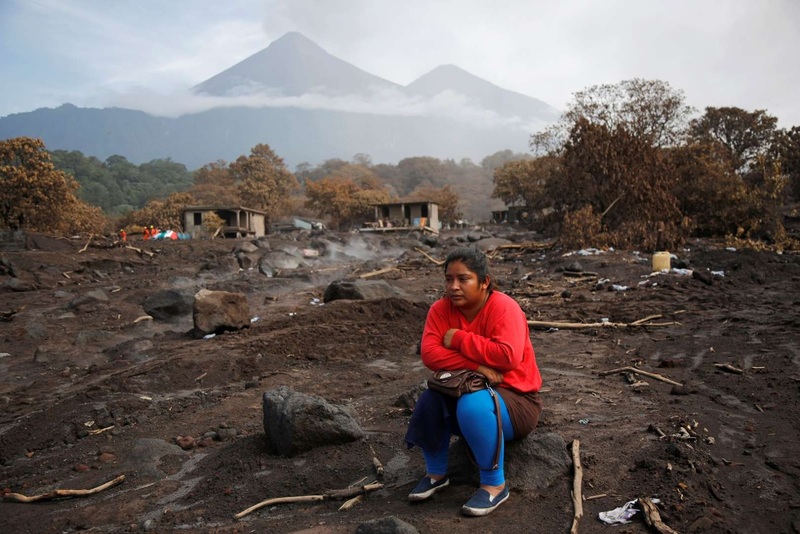 Milvia Vasquez observes an excavator removing ash from the site where she presumes her brothers are buried in an area affected from the eruption of Fuego volcano in San Miguel Los Lotes, in Escuintla, Guatemala. 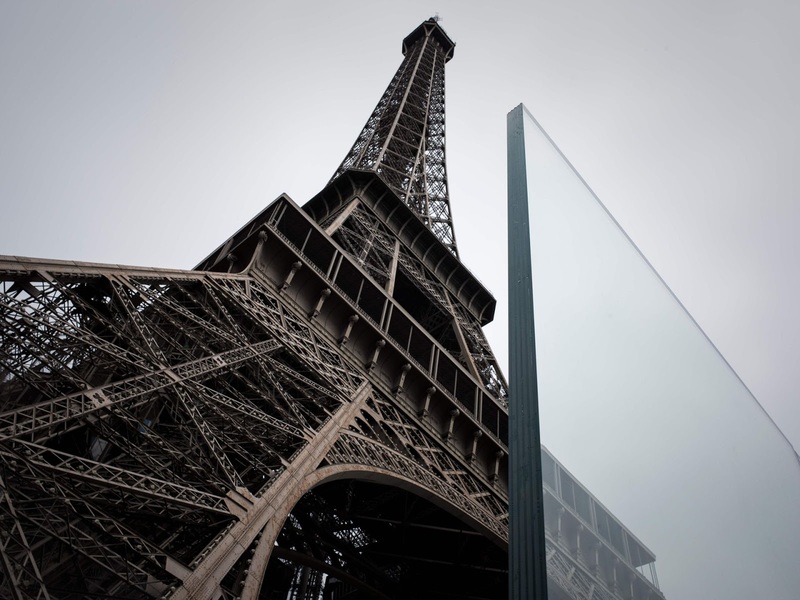 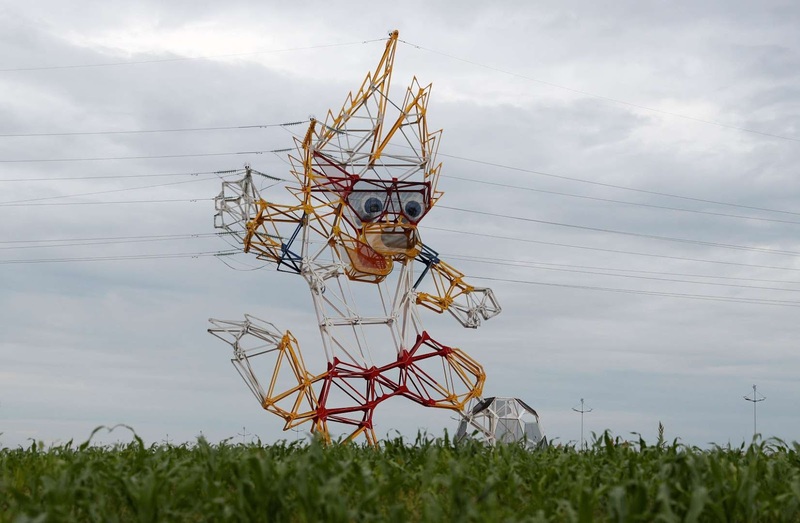 A view shows an electricity pylon, which depicts the official mascot for the upcoming soccer World Cup, Zabivaka, outside Kaliningrad, Russia. 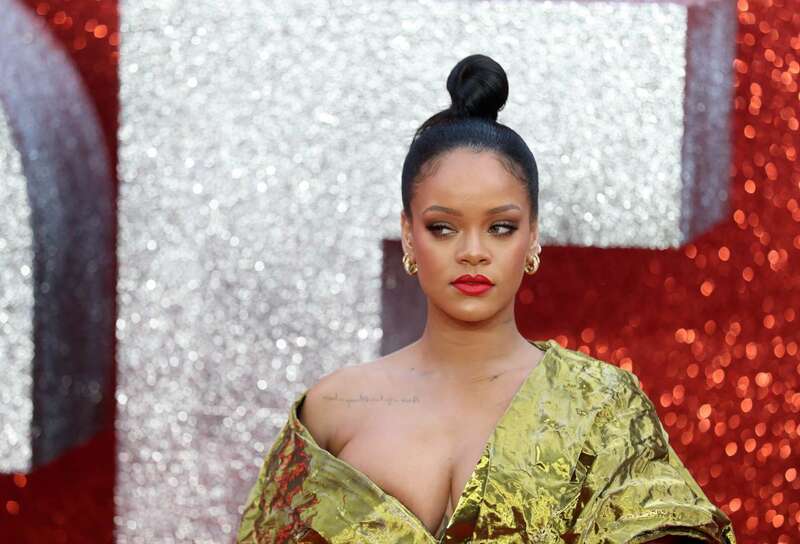 Cast member Rihanna poses for pictures on the red carpet for the European premiere of Ocean's 8 in London. 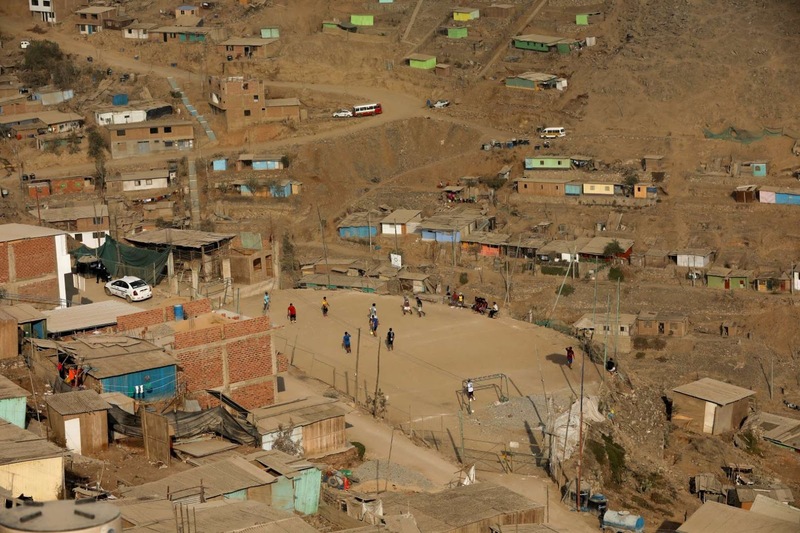 Men play soccer at a makeshift soccer field in Nueva Union shantytown in Villa Maria del Triunfo district of Lima, Peru. 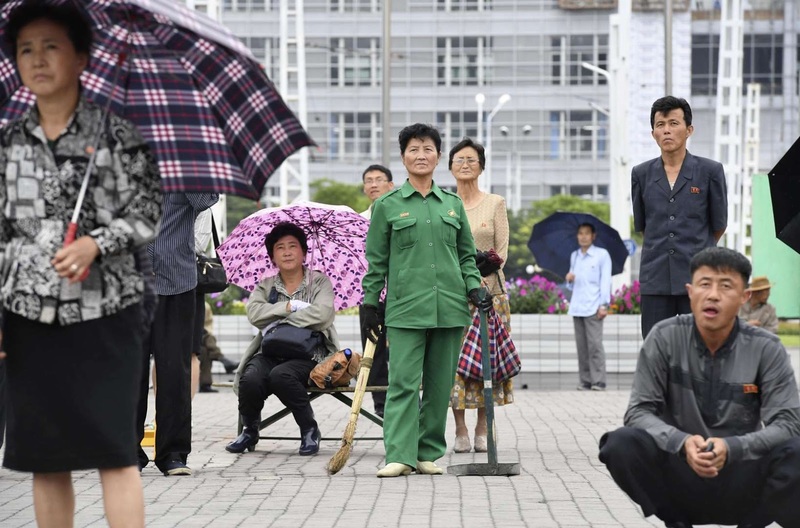 North Koreans watch a news report on the summit between the U.S. and North Korea on an electronic screen at Pyongyang station in Pyongyang, North Korea. 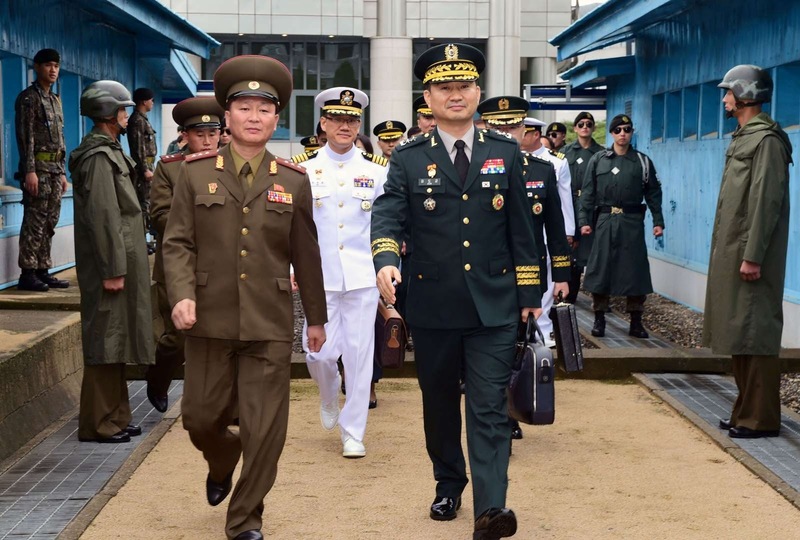 North and South Korean delegation walk as they cross the concrete border at the northern side of the truce village of Panmunjom, in North Korea. 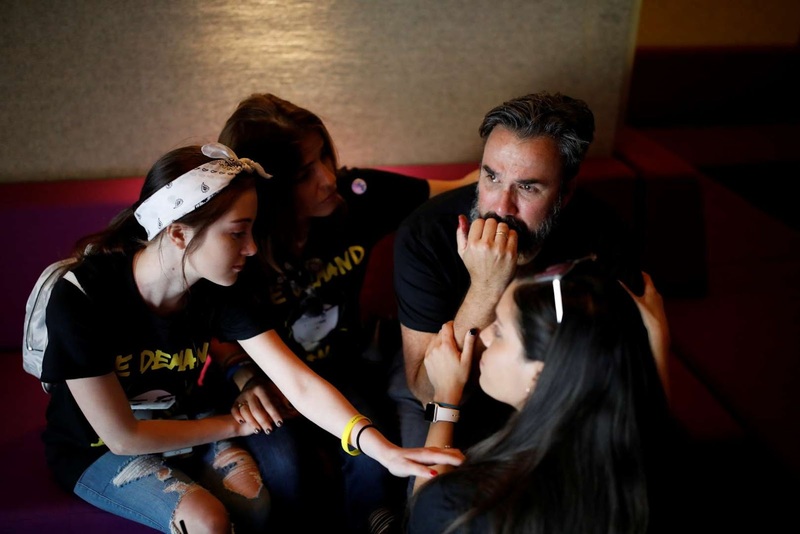 Manuel Oliver, the father of Joaquin Oliver one of the victims of the mass shooting at Marjory Stoneman Douglas High School, cries next to his family after painting a mural to commemorate the victims of the shooting and promote gun control in Los Angeles, California. 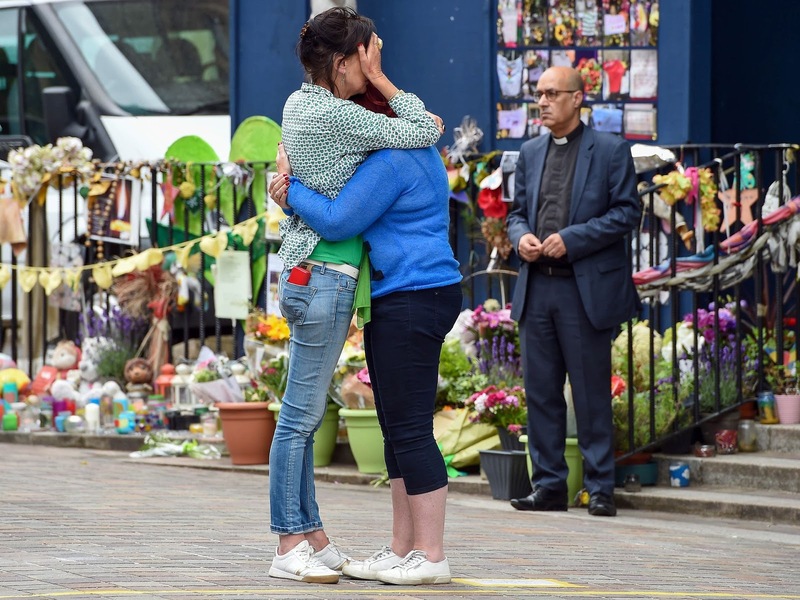 Listening to his son's favourite music, Oliver painted the mural from beginning to end, but as soon as he finished, he broke down and had to walk inside the hotel to mourn. 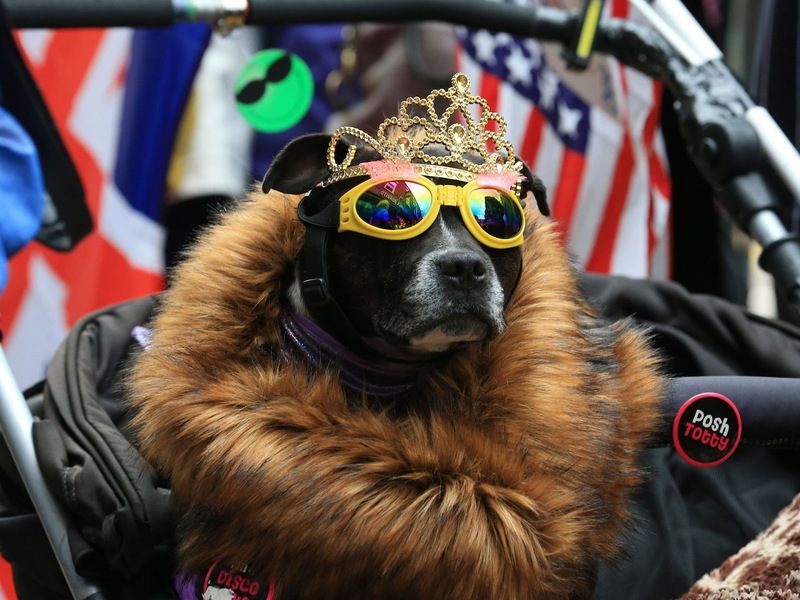 Later he went out again to give interviews to the media to call for more gun control. 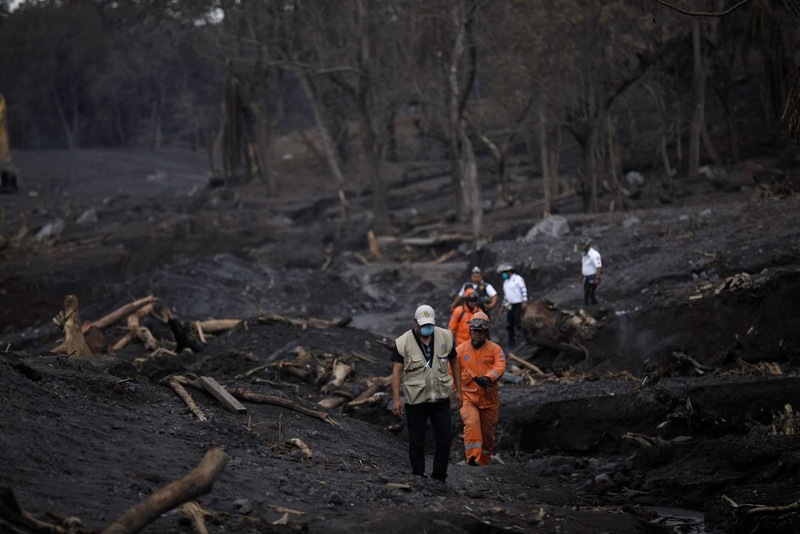 Members of the Guatemala's disaster management agency (CONRED) inspect an area affected by a lahar from Fuego volcano at El Rodeo, Guatemala. 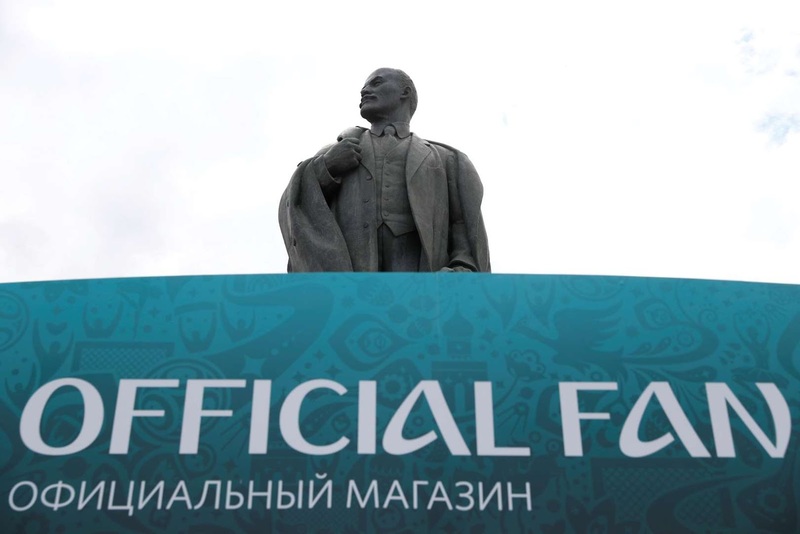 A Statue of Vladimir Lenin is pictured outside the Luzhniki Stadium in Moscow ahead of the World Cup.